The goal of this educational program is to ensure that members of a multidisciplinary team, including physicians, nurses, pharmacists, and other relevant healthcare professionals, have the knowledge and skills necessary to apply the standards of care to their practices and healthcare settings for patients with lung cancer and those being screened for lung cancer. This educational program is designed to meet the educational needs of oncologists, pathologists, nurses, pharmacists, and other health care professionals who manage patients with lung cancer and those being screened for lung cancer. Identify the new recommended immunotherapy regimens for patients with SCLC and NSCLC. Evaluate the risks and benefits of using immune-checkpoint inhibitor therapy. Educate health care providers about adverse events that may occur with immunotherapy and appropriate management. Describe the challenges with diagnosing pneumonitis. Summarize the role of biomarker testing to assist with selecting the most appropriate immunotherapeutic agents for patients with metastatic NSCLC. This activity is supported by educational grants from AstraZeneca; Celgene Corporation; Genentech; Lilly; Novartis; Pfizer; and Takeda Oncology. This activity is supported by independent educational grants from AbbVie and Boehringer Ingelheim Pharmaceuticals, Inc.
All faculty and activity planners participating in NCCN continuing education activities are expected to disclose any relevant financial relationships with a commercial interest as defined by the ACCME’s, ANCC’s, and ACPE’s Standards for Commercial Support. All faculty presentations have been reviewed for adherence to the ACCME’s Criterion 7: The provider develops activities/educational interventions independent of commercial interests (SCS 1, 2, and 6) by experts on the topics. Full disclosure of faculty relationships will be made prior to the activity. ACCME, ACPE, and ANCC focuses on financial relationships with commercial interests in the 12-month period preceding the time that the individual is being asked to assume a role controlling content of the CE activity. ACCME, ACPE, and ANCC have not set a minimal dollar amount for relationships to be significant. Inherent in any amount is the incentive to maintain or increase the value of the relationship. 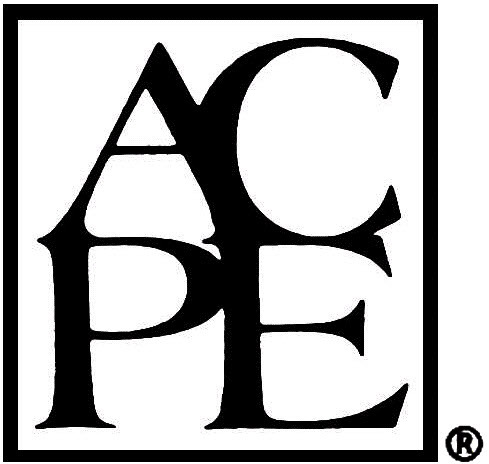 The ACCME, ACPE, and ANCC defines “relevant’ financial relationships” as financial relationships in any amount occurring within the past 12 months that create a conflict of interest. National Comprehensive Cancer Network (NCCN) is accredited by the Accreditation Council for Continuing Medical Education (ACCME) to provide continuing medical education for physicians. NCCN designates this enduring material for a maximum of 0.75 AMA PRA Category 1 Credits™. Physicians should claim only the credit commensurate with the extent of their participation in the activity. AAPA accepts certificates of participation for educational activities certified for AMA PRA Category 1 Credit™ from organizations accredited by ACCME or a recognized state medical society. PAs may receive a maximum of 0.75 hours of Category I credit for completing this activity. National Comprehensive Cancer Network (NCCN) is accredited as a provider of continuing nursing education by the American Nurses Credentialing Center’s Commission on Accreditation. NCCN designates this educational activity for a maximum of 0.75 contact hours. National Comprehensive Cancer Network (NCCN) is accredited by the Accreditation Council for Pharmacy Education as a provider of continuing pharmacy education.